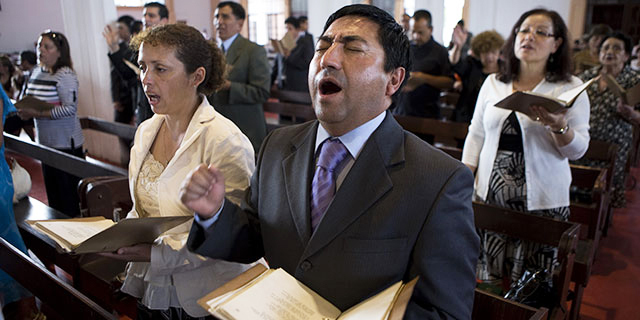 Tens of millions of Latin Americans have left the Roman Catholic Church in recent decades and embraced Pentecostal Christianity, according to a new Pew Research Center survey on religion in 18 Latin American countries and Puerto Rico. Indeed, nearly one-in-five Latin Americans now describe themselves as Protestant, and across the countries surveyed majorities of them self-identify as Pentecostal or belong to a Pentecostal denomination. Pentecostals share many beliefs with other evangelical Protestants, but they put more emphasis on the “gifts of the Holy Spirit,” such as speaking in tongues, faith healing and prophesying. With nearly 300 million followers worldwide, including many in Africa and Latin America, Pentecostalism is now a global phenomenon. But present day Pentecostalism traces its origins to a religious revival movement that began in the early 20th century. 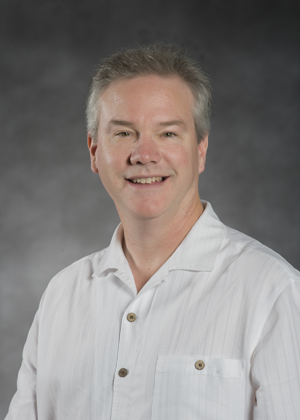 We asked Andrew Chesnut, professor of religious studies at Virginia Commonwealth University, to discuss how and why Pentecostalism has grown so dramatically in Latin America in recent years. The interview has been edited for clarity and condensed. Why have we seen this shift in Latin America in recent decades away from Roman Catholicism and toward Pentecostal Protestantism? Andrew Chesnut: One reason is that Pentecostalism has very successfully absorbed Latin American culture. So, for example, the music that you hear in Pentecostal churches has the same rhythms that people enjoy outside of church. In fact, in only a century, Pentecostalism has become indigenous, or “Latin Americanized,” to a greater extent than Roman Catholicism has in its four centuries in Latin America. There are other factors. For instance, some Latin Americans who grow up Catholic convert to Pentecostalism at a time of a health crisis, because Pentecostalism puts such a great emphasis on faith healing. This healing ministry is one of the propelling motors of the Pentecostal boom. And the Pentecostal preachers tend to sound more like their congregants. They are often unlettered and they speak to their flock in the same way that people in Latin American speak to each other. They also tend to look like their congregants. So in Guatemala, many preachers are Mayan, and in Brazil they are Afro-Brazilian. By contrast, in the Catholic Church, most priests are part of the elite. They are either white or mestizo and many are actually from Europe. Are there particular groups or types of people in Latin America who are especially drawn to Pentecostalism? Chesnut: Historically, Pentecostalism has appealed to the poor and to outsiders. But more recently, it has begun to appeal to middle-class professionals, such as doctors and lawyers, who have formed their own denominations in Brazil and Guatemala, among other countries. The emphases on “inner healing,” individual responsibility and prosperity theology are especially appealing to these more affluent Pentecostals. In the case of the poor, they are especially attracted to prosperity theology, also known as the health and wealth gospel. It gives people hope that they can move up regardless of their station. People are told that, with sufficient faith and active petition of God, eventually the things that you want in life will be yours. That’s a very powerful message to someone who has very little. Some people, particularly men, are attracted to Pentecostalism because they are struggling with substance abuse or other problems. Pentecostalism promotes healthy lifestyles and serves as the largest detox center for Latin American men. Men who join these churches often stop hard drinking … or gambling or womanizing. How did Pentecostalism begin in Latin America? Chesnut: For the most part, it was imported from the United States. In the early 20th century, Pentecostal missionaries began arriving in South America and they start doing well almost immediately. One reason was the emphasis on gifts of the Holy Spirit, such as faith healing, which resonated with many people. The earliest converts were Amazonian lepers, who for obvious reasons flocked to Pentecostal faith healers. More broadly, many early converts were poor, like indigenous people and former slaves. During this time, elites in Latin America remained Catholic because Catholicism was part of their cultural and national identity. Unlike earlier American missionaries, Pentecostals also were quick to train Latin American pastors and nationalize their denominations. For example, the Assemblies of God in Brazil [the country’s largest Pentecostal denomination] was fully under Brazilian control by 1930, just two decades after the first American evangelists arrived. Is there a deep connection today between American Pentecostal churches and those in Latin America? Chesnut: There is a connection, but today, things are reversed. Pentecostalism is now overwhelmingly anchored in Latin America, rather than the United States. In Brazil, for example, the Assemblies of God has 10 million to 12 million members, while the American Assemblies of God church has 2 million to 3 million. So now, the Brazilian church is the big brother and the United States is seen as mission territory. Many [Latin American] churches are now sending out missionaries to the United States, as well as to Europe and Africa and even Asia. In the U.S., these missionaries have tried to attract Euro-Americans and African Americans. But so far, they’ve had little success. Instead, they’ve attracted Latin American immigrants living in the U.S.
How has the Roman Catholic Church in Latin America responded to this shift away from Catholicism and toward Protestant churches? Chesnut: Starting in the late ’60s … the Catholic Church embraced charismatic Christianity. That has been the church’s primary response to Pentecostal inroads. The Catholic Charismatic Renewal offers the same ecstatic spirituality, the same healing, but people get to keep the Virgin Mary, and saints as well. So on paper, the Charismatic Renewal offers the best of both worlds. This strategy has been somewhat successful. It hasn’t stopped losses to the Pentecostal churches, but those losses would have been much more acute if it hadn’t been for this renewal movement in the Latin American Catholic Church. Do you think that the increased religious competition from Pentecostalism has made Latin America more religious? Chesnut: Yes. I think competition from Pentecostal churches has definitely made the Latin American religious landscape more robust. In addition to contributing to a certain renewal of the Catholic Church, it’s impacted mainline Protestant churches – like the Presbyterian and Methodist churches – which, like the Catholics, now also offer their own version of Pentecostalism. We’re talking here about a religious free market, and in such a market you have to offer people attractive options if you want to succeed. So these religious groups are offering up their own version of Pentecostalism because that’s what people want. If Pentecostalism had never come to Latin America, I think the religious landscape… would not be nearly as vibrant as it is today.